Be the first to share your favorite memory, photo or story of Raymon . This memorial page is dedicated for family, friends and future generations to celebrate the life of their loved one. 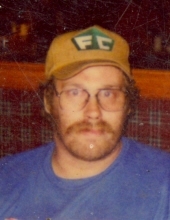 Raymon Tilley, age 52, of Zearing and formerly of Boone, died on Sunday, February 3, 2019 at the Mary Greeley Medical Center in Ames. Per his wishes, Raymon has been cremated and no visitation or services will be held. Raymon Donald Tilley, was born in Boone, Iowa on July 25, 1966, the son of Richard and LaVaune (Lawrence) Tilley. Raymon worked as a laborer. He enjoyed hunting and fishing and attending the races at the Boone Speedway. On August 20, 2001, Raymon married Gladys Wolf in Boone. He is preceded in death by his parents; a sister, Leanna Tilley; a half sister, Chris Ruby. Raymon is survived by his wife Gladys of Boone; three brothers, Robby Tilley and wife, Debra of Boone; Russell Tilley and wife, Mary and Rodney Tilley and wife, Cheryl all of Eagle Grove; nieces and nephews. In memory of Ramon, memorials may be directed to the family. To send flowers or a remembrance gift to the family of Raymon Tilley, please visit our Tribute Store. "Email Address" would like to share the life celebration of Raymon Tilley. Click on the "link" to go to share a favorite memory or leave a condolence message for the family.